Deck Savers was established over 15 years ago when there was a realization that there's a big demand for cleaning and preserving decks, but a lack of professionals who specializes in doing so. 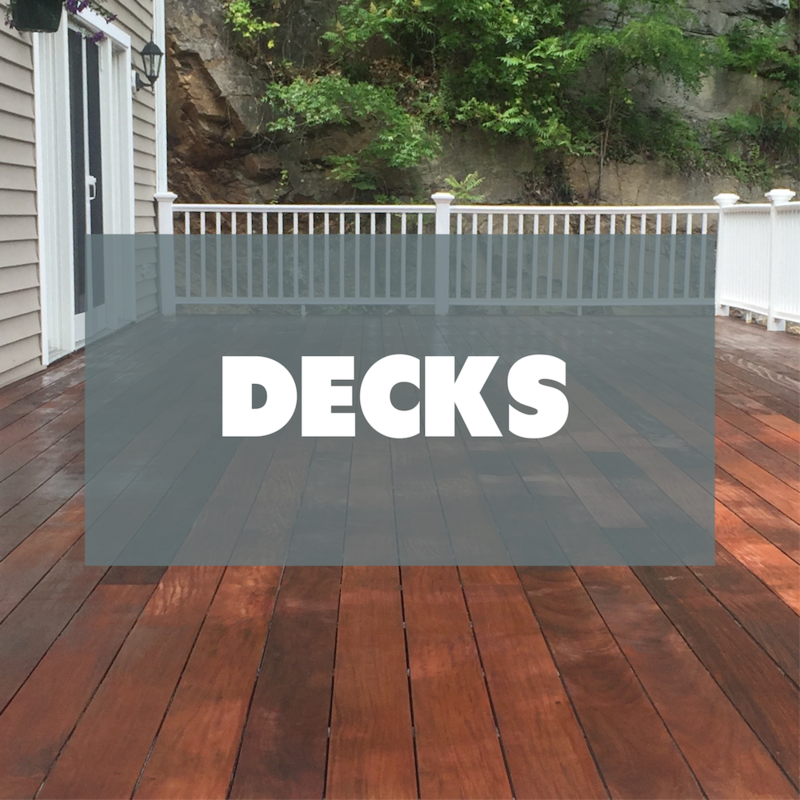 Here at Deck Savers, we have a huge passion for refinishing decks. We truly enjoy transforming plain old decks into bright and beautiful ones. To ensure the highest quality job, we use the best quality products available. If you are interested in receiving a free quote please give us a call today. It would be our pleasure working for you and we hope to hear from you soon. "Deck Savers made our deck look fabulous! The transformation of our deck is nothing less than OUTSTANDING! Excellent customer service! We highly recommend Brian with Deck Savers." "Brian did a great job power washing the entire house! He also performed some "Decksavers Magic" on our deck! It looks like new again. Thank you!" "I have a cedar deck which was power washed and oiled to perfection. Brian even included the cedar hot tub!!!" "Brian saved our decks finish. Recommended the right product for coating the surface last year. This year he cleaned the concrete walk around the pool - looks like new. Reasonable and competitive pricing, keeps to the schedule, prompt completion of the job." "The best testimonial I can give is that Brian did such a great job restoring our deck, that I asked him to stain our whole house. Another fantastic job!" "Brian literally saved my 25 year old deck --- it looks like new!! He uses good products, is honest, very neat and thorough, and takes pride in his work." "You couldn't do better than James of Deck Savers. We have an enormous deck with several levels and stairways that was built in 1998 but never stained or treated. James didn't flinch. He gave us a reasonable quote for restoration and three colors of stain!" - GARY & ANN K.
"I am very pleased with the job Decksavers did on our deck. We had cleaned and stained it a few years ago but it was definitely looking it's age which is 20, Still in good structural shape, it needed help. Deck savers did a terrific job of cleaning and staining it to look new!" Looking for help with your deck, siding, patio, Dock or another part of your home?